OTTAWA—Cardus unequivocally condemns the expressions of hatred that have appeared recently through graffiti in several places within Canada, including in Ottawa and Montreal. 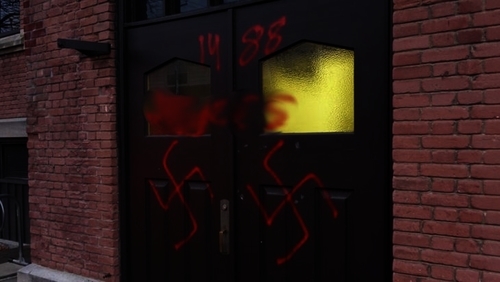 The appearance of swastikas and other hateful messages targeting synagogues, as well as a church and a mosque, have no place in Canadian society. These incidents run counter to the message that Cardus tries to underline each day through its Faith in Canada 150 program—that faith has always had a positive place in Canadian public life and will continue to do so well past the 150th anniversary of Confederation. We extend our heartfelt support and encouragement to the faith communities that have been shocked and saddened by the recent expressions of hatred.